Rodger Stephens of Prize Performance began Business Performance Management work in 1986 and has been providing business valuations since 2012. Certified Public Accountant (CPA) and Chartered Global Management Accountant (CGMA) designated. Accredited business valuation professionals with ABV and ASA credentials available. We’ve provided successful solutions for 250+ clients. This report is an internal resource providing you with an approximate company value, analysis and an additional report of what to expect and prepare for a business buy/sell situation. This report is packed with business valuation and analysis which exceeds business valuation standards from two standards setters in the business valuation industry. It includes time together to understand it. This is a report, and time together to understand it, with BUSINESS VALUATION and BUSINESS HEALTH analysis. One fee does not fit all companies. This means we need to understand some information about your company before we can estimate a fee for you. Please call us and let’s talk. Mr. Stephens, a Certified Public Accountant (CPA) and a Chartered Global Management Accountant (CGMA), began his experience at St Anthony Publishing and Reuters America where he managed the finance department in two different companies operating in five different industries. Mr. Stephens, an expert in Business Performance Management techniques, provided management with reporting, analysis, and valuable guidance. 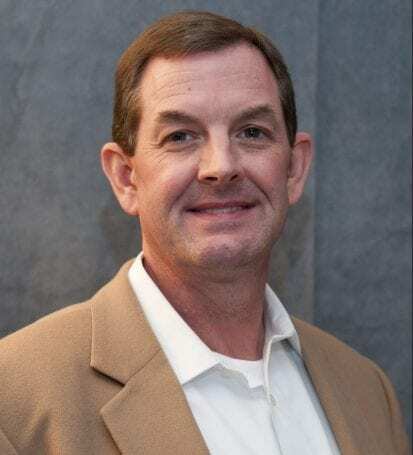 Later in Mr. Stephens' career, he gained experience at EdgeMark Systems, Cognos Corporation, and The Oracle Corporation where he continued to train and practice Business Performance Management techniques through classroom education, training, and client work. Mr. Stephens accumulated tremendous experience by working with hundreds of US-based client companies, both public and private. Leveraging Cognos Enterprise Planning software, Oracle Hyperion Enterprise Planning software, business intelligence, accounting, dashboards, scorecards, and other useful decision information systems, he was able to increase his client's ability to drive company performance. Since 2012, Mr. Stephens leads Prize Performance LLC as its Managing Partner. By applying his 30+ years of experience in Business Performance Management methodology, he helps business owners measure and grow their company health and value. Mr. Stephens continues to help clients increase confidence, lower their risk, and brighten their company's future outlook. Prize Performance LLC is a certified business valuation and certified business appraisal company. Our business valuation company, firm, consultants, experts, professionals, and service are available in Alabama, Arizona, Arkansas, California, Colorado, Connecticut, Delaware, Florida, Georgia, Idaho, Illinois, Indiana, Iowa, Kansas, Kentucky, Louisiana, Maine, Maryland, Massachusetts, Michigan, Minnesota, Mississippi, Missouri, Montana, Nebraska, Nevada, New Hampshire, New Jersey, New Mexico, New York, North Carolina, North Dakota, Ohio, Oklahoma, Oregon, Pennsylvania, Rhode Island, South Carolina, South Dakota, Tennessee, Texas, Utah, Vermont, Virginia, Washington, West Virginia, Wisconsin, Wyoming, & More.